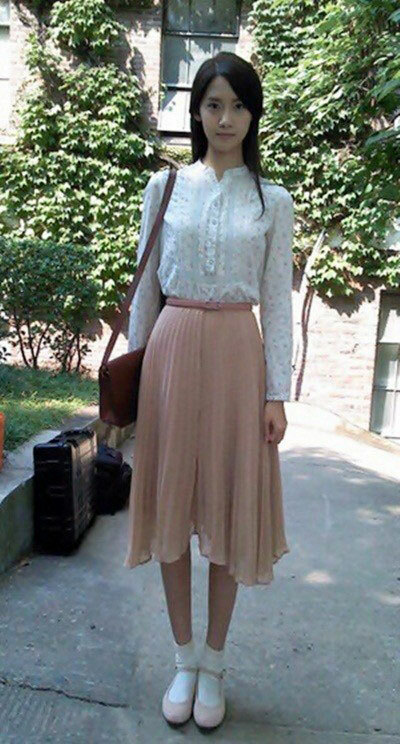 The well-proportioned ‘model-like’ figure of Girl’s Generation member YoonA even when wearing the flat shoes is enviable. Recently, a post and a photo with the title of “YoonA who made people speechless” were published on a fashion and beauty blog. In the photo, YoonA was wearing a white shirt, skirt of skin color, which are designer retro clothes that are consistent with the background of the “Love Rain” drama. She revealed the well-proportioned slender body figure below her perfect little face, as if the mannequin on display in the mall. Netizens said, “The clothes live because of YoonA,” “Like the princess in the fairy tale,” “YoonA should be a doll” and so on.